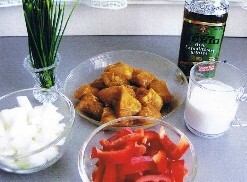 Leave chicken marinating overnight with curry powder and salt. 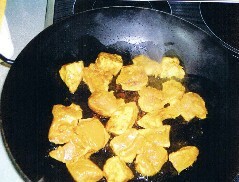 Heat 3 Tbsp oil in a wok or a non-stick pan and stir-fry chicken for 5 min. 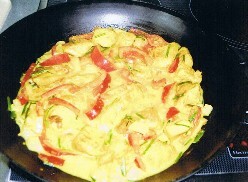 Pour in the coconut milk and simmer for 6-8 min more. 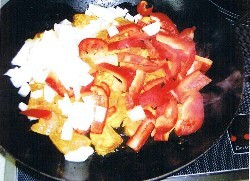 You can add more curry and red chili powder. 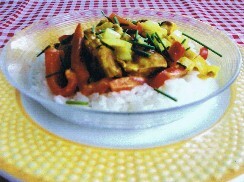 Garnish with scallions or chives.